Today's Campus Connect Publication... 2/2017. 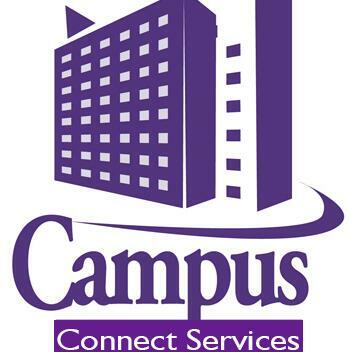 In case you missed yesterday's 1 /2016 Campus Connect Publication, click here. http://www.lmblug.com/2017/01/todays-campus-connect-publication-12017.html?m=1 . 📌"No Going Back On January 3rd Resumption Date" - FUTA Students. http://www.lmblug.com/2016/12/no-going-back-on-january-3rd-resumption.html?m=1. 📌Police arrest burglar of Olabisi Onabanjo University, OOU, hostels. http://www.lmblug.com/2017/01/police-arrest-burglar-of-olabisi.html?m=1. 📌Despite the recession, Mike Adenuga's net worth increased by $2.7bn in 2016... Forbes. http://www.lmblug.com/2017/01/despite-recession-mike-adenugas-net.html?m=1 📌Woman arrested for trying to smuggle a 19-year-old man in a suitcase. http://www.lmblug.com/2017/01/woman-arrested-for-trying-to-smuggle-19.html?m=1 📌Act, Nigerians are hungry, Father Mbaka advises Buhari. http://www.lmblug.com/2017/01/act-nigerians-are-hungry-father-mbaka.html?m=1 📌"Return the $600,000 you collected from James Ibori", Hon. Jibrin warns Dogara http://www.lmblug.com/2017/01/return-600000-you-collected-from-james.html?m=1. 📌Omawumi, Dbanj, Iyanya, Chidinma make Punch's list of stars that blatantly refused to shine in 2016. http://www.lmblug.com/2017/01/omawumi-dbanj-iyanya-chidinma-make.html?m=1. 📌First Terrorist Attack of the Year in Instabul leaves 39, including 16 foreigners, dead. http://www.lmblug.com/2017/01/first-terrorist-attack-of-year-in.html?m=1. 📌Enraged husband accuses wifeand of cheating, beats, stabs her, with broken bottle, in the private part.